This stunning 70's dress is beautiful on, and will make you feel just as beautiful! Wrap style dress with adjustable ties to fasten at the back and on the front - so it will fit a range of sizes. Stunning floaty sleeves and an abstract butterfly print on the front and back. We didn't want to say goodbye to this piece of heaven! 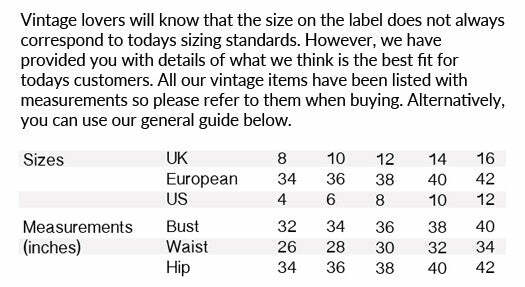 Best fits sizes 8 - 14.